To acknowledge the United Nations International Day of Persons with Disabilities (IDPD) 2018, REI has partnered with the Graduate Program in Critical Disability Studies and the Enable York Committee to profile four York University student leaders (Navi Dhanota, Rana Nasrazadani, Jeffery Adams, and Roxana Jahani Aval) who identify with a disability and are making a difference at York University and beyond. We’ve asked each student to share information about themselves, their work in disability advocacy, and their thoughts on this year’s IDPD theme: “empowering persons with disabilities and ensuring inclusiveness and equality”. Check out the profiles below to learn more about their work in disability advocacy, and for ideas about how you can help champion accessibility and inclusion York University. Scroll to the bottom of the page to learn more about York’s commitment to accessibility and inclusion, relevant policies and procedures, and resources/supports. To see profiles of York University alumni who identify with a disability and are making a difference in the broader community, visit the Alumni and Friends webpage. Navi is a PhD student in the Critical Disability Studies program at York University. In 2015, she completed her Masters of Arts at York in Critical Disability Studies. Her interests include BIPOC Mad Studies, which looks at the ways in which racialized bodies are marginalized by institutions. Navi worked with the Ontario Human Rights Commission and York University to review accommodation procedures across Ontario to help more students access mental health accommodations and supports at their post-secondary institutions without disclosing a Diagnostic and Statistical Manual (DSM) diagnosis. With this change, students are no longer required to define their experiences using a psychiatric label. The change has been implemented province wide and was included in the OHRC’s Policy on Preventing Discrimination in Education. Removing the requirement to disclose a diagnosis in order to access academic accommodations is an important step forward for post-secondary institutions in their commitment to student success and their interpretation of (dis)ability. The Ontario Human Rights Commission’s intervention in this case and York’s commitment to change has created a landmark precedent which has changed the understanding of accessibility and (dis)ability when receiving university accommodations. Through this advocacy work, Navi helped to create space for students to receive the academic accommodations they need to help them succeed. Navi is currently pursuing a PhD in the Critical Disability Studies program at York University. Her dissertation explores how the racialized body is being labeled by Western categories of disability, specifically in the post-secondary setting. From Navi’s perspective, true accessibility means that racialized persons are not diagnosed disproportionately and inclusion means that racialized embodiment is not pathologized. Navi’s advocacy and research demonstrates that resisting frameworks which label the racialized body as deviant is incredibly important when we seek to achieve accessibility. Rana Nasrazadani is currently pursuing a Bachelor’s Degree in Human Rights and Equity Studies at York University. She has extensive experience advocating for the Disability community, accessibility, and inclusion through her community work and student leadership. Rana has been advocating for youth with Disabilities from a young age. As an ambassador for Holland Bloorview Kids Rehabilitation Hospital for over 15 years, Rana spoke at a several events and participated in development and launch of the Change for Kids Halloween campaign. 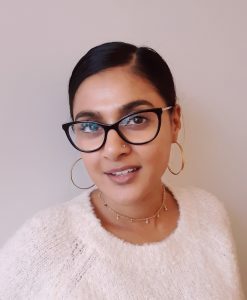 Through her role as a project coordinator at the Ontario Child Advocate, Rana designed and facilitated workshops for non-profit organizations, private sector, and government agencies focused on challenging ableism and educating on accessibility and inclusion. Rana is currently a member of the K-12 Education Standards Development Committee which is working to develop a province-wide standard to improve accessibility within Ontario’s education system. Rana has been featured in the Toronto Star, appeared on CBC’s The Current, and was a featured speaker at the Toronto Women’s March in January 2018. 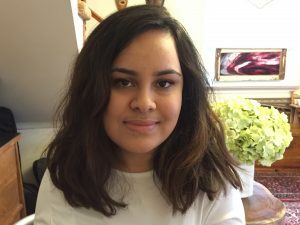 Rana also co-wrote a statement for the Ontario Human Rights Commission’s newly updated Policy on accessible education for students with disabilities. 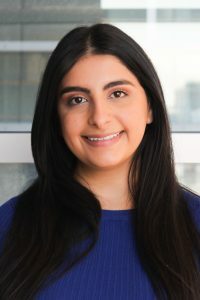 Rana is also an involved student leader at York University; as co-chair of Enable York she works to lead the committee in initiatives that promote accessibility at the university and is proud of her new appointment as a President’s Ambassador. Rana’s innate passion for accessibility and inclusion combined with her lived experience has allowed her to take a fulsome and strength based approach to advocating for the Disability community while working to educate the general public. In order to effectively and genuinely achieve true accessibility and inclusion, you must include and center the Disability community in all conversations and discussions that affect our lives, it cannot be an afterthought. Jeff Adams is a second year JD candidate at Osgoode Hall Law school. 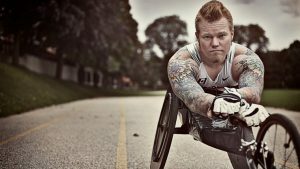 Prior to school, Jeff was a Paralympic athlete, competing at six consecutive summer games, winning a total of 13 medals. Jeff transitioned to business, founding two private companies, and working in the entertainment industry as an on-air personality. A career in law has been a life-long goal for Jeff – he is interested in litigation, labour, and sports and entertainment law. Jeff sat as Co-Chair of the Accessibility Advisory Council of Ontario, provided direct advice to the Minister of Citizenship on the creation and implementation of the Ontarians with Disabilities Act, 2001, and continues to do as much work as he can on accessibility and equity issues. Jeff is currently a member of the Equity Advisory Group at the Law Society of Ontario. Jeff thinks that taking the time to try to understand the issues around accessibility writ-large is critical and doing that requires us to recognize differences as diversity. Reframing it that way lets us celebrate diversity as a societal strength instead of running the risk of living in fear of what we don’t understand. Making an effort to not only understand diversity, but play an active role in promoting it as a strength and a value is critical to our development as individuals and as a society. After obtaining her first degree in Psychology at York University, Roxana Jahani Aval began a second bachelor’s degree in Human Rights and Equity Studies concentrating on Disability Right and Law at York. Roxana is in her last year of her bachelor’s degree is hoping to pursue an education in the field of law beginning in fall, 2019. Roxana is the Chairperson of the National Educational Association of Disabled Students (NEADS), and is the NEADS representative and Secretary on Executive Committee for the Council of Canadians with Disabilities. Roxana currently sits on the Enable York Committee, as well as the Academic Policy and Planning Committee and the Petitions Committee with the Faculty of Liberal Arts and Professional Studies at York University. In the past, Roxana was a member of the Community Safety Council at York and was the Volunteer Coordinator of the Jack.org York U Chapter. For Roxana, empowerment and inclusiveness means acknowledging and actively working on having the voices of people with disabilities be present in the public sphere. This includes having the disability lens in legislation, policy, matters of infrastructure, and advances in technology to assure the active inclusion and accessibility needed in our society. Others are able to play a role in the advancement of the disability rights movement through basic non-ableist interactions with people, and by making the lived environment a comfortable and accessible place for people with disabilities. Other ways to get involved are through volunteer roles in different not-for-profits, by supporting scholars in the rights movement, by participating in surveys for the advancement of social research, and through educating others on the impact that inaccessible environments have on people with disabilities. Please visit the Enable York committee website for information about its mandate and activities. Contact enableyork@yorku.ca or rights.yorku.ca to learn more.